I believe many of you girls out there love to make up so that you look pretty right? But do you know what is the most important factor in a girl/guy to look attractive? Everything in the picture is the same except the complexion of the skin! 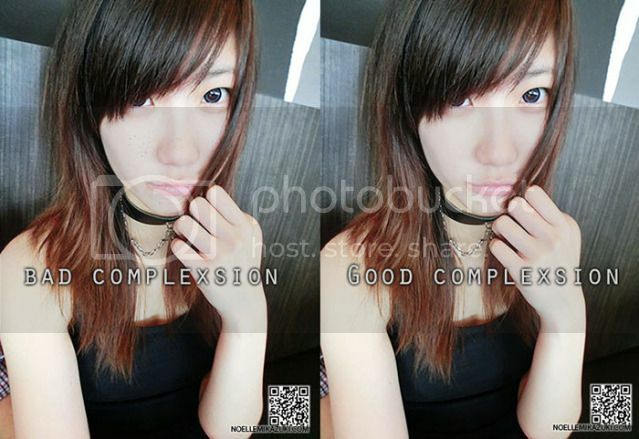 I purposely photoshopped the left photo to have the "pimple scars even under concealer" look! And yes, even the best concealer can't help you cover your pimple scars sometimes!! But anyway you get the point. I personally HATE to use foundations because I feel very stuffy in it. 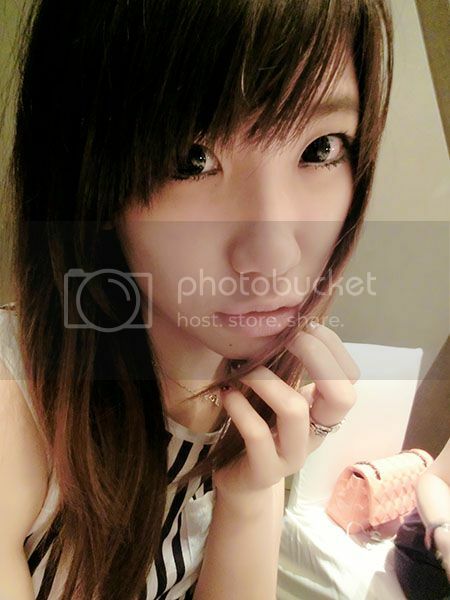 I usually go out without make up, or with light eye make up + concealer only. And this is how I look like with light eye make up + concealer only. Everyone loves & wants smooth fair radiant skin without wrinkles or pimples scars! But of course, not all of you would have the time to put facial masks/skin care everyday! 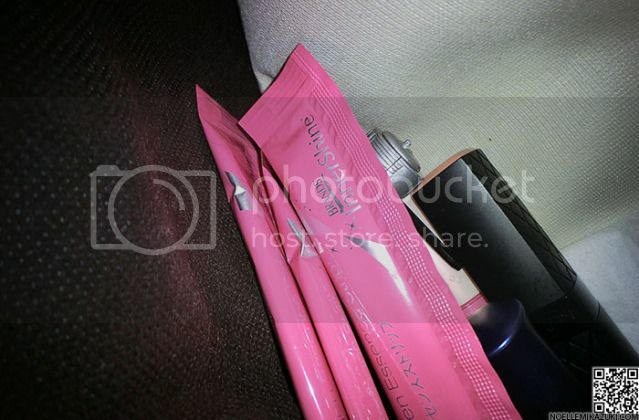 So I'm introducing you guys/girls a brand new product by BRANDS InnerShine! Collagen is actually a fiber in the connective tissue throughout our whole body! But people usually notice the face only though. And do you know that our skin begins to drop at an annual rate of 1.5% once we reach adulthood? With addition of our working stress, polluted air, alcohol, smoking, late sleeping etc. increases the speed of getting old skin!! Also known as ageing skin!! Why must we Replenish/Restore Collagen? 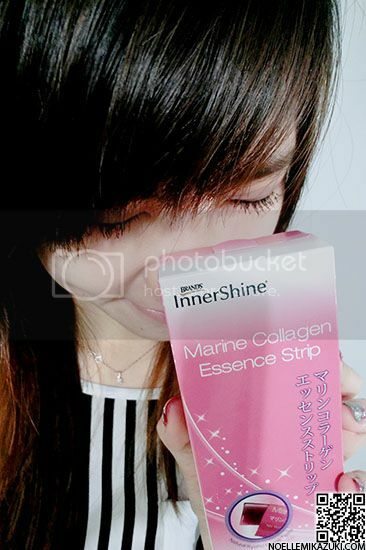 For a simple reason, it actually helps to maintain our skin suppleness & elasticity!! That's why many people buy Collagen facial products/ skincare products. 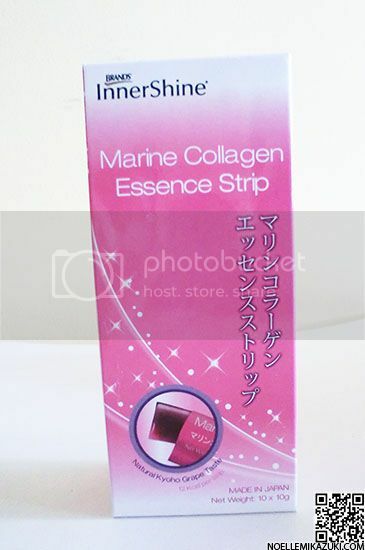 This Marine Collagen Essence Strip actually contains deep sea fish-derived collagen with Niacinamide (form of Vit. B3 that provides skin cells energy for growth & repair) & Vit. E (antioxidant that protects the skin from photo-aging effects)! 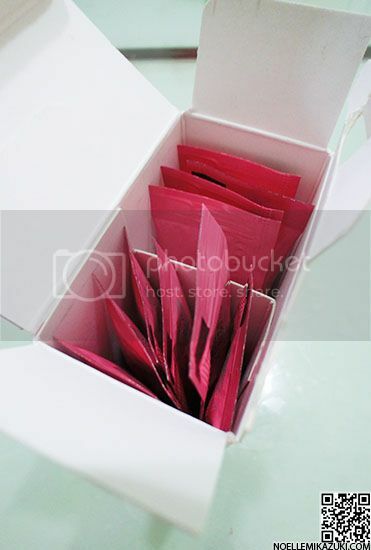 Look at it's pretty pinkish packaging!! This was designed to be plush, potent and portable!! Each strip contains only 12kcal & weighs around 10g? the way out or during snack time! And no. It does not have any fish taste at all! And it taste a little like Qoo white grape!! Really sweet tasting and it tastes just like a jelly! Super love this creation by BRANDS!! They never fail to come out with smart ideas to improve healthcare! Yes, I DO put them in my bags as I suggested! STAY YOUNG & PRETTY LOOKING PEOPLE!